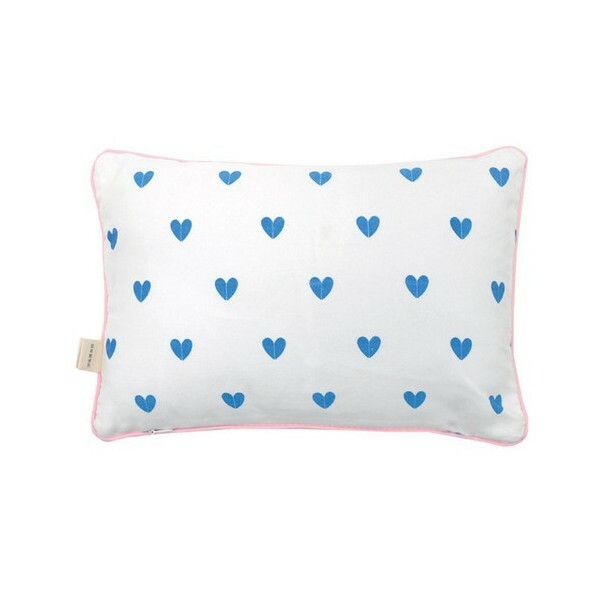 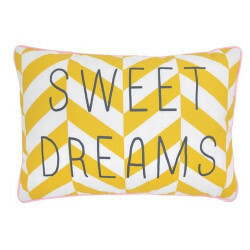 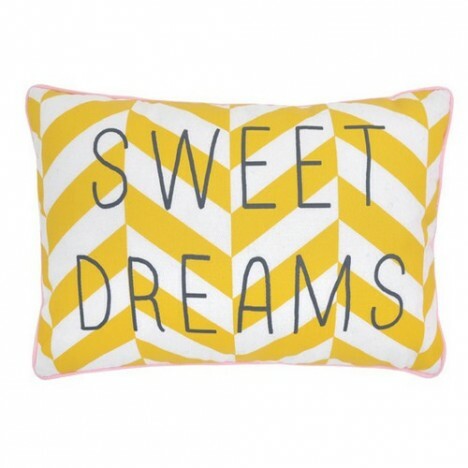 > Catalogue>Printed cushion "sweet dreams"
Small cushion with message on the front "sweet dreams" yellow and white surrounded by pink seam, and on the back of the little blue hearts that fill the surface of the cushion. 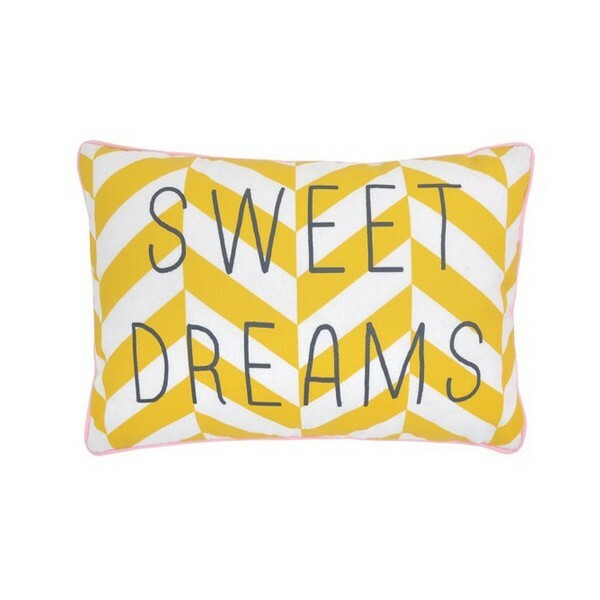 Very cute to decorate your home, this cushion is designed in cotton and will be ideal for walks, sleeping in the bed and decorative cushion. 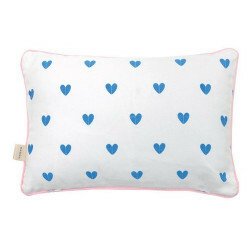 Thanks to its mixed colors it will appeal to both girls and boys.